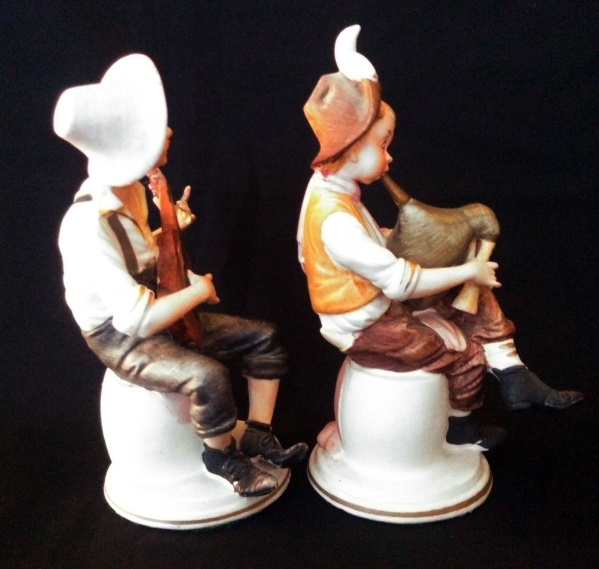 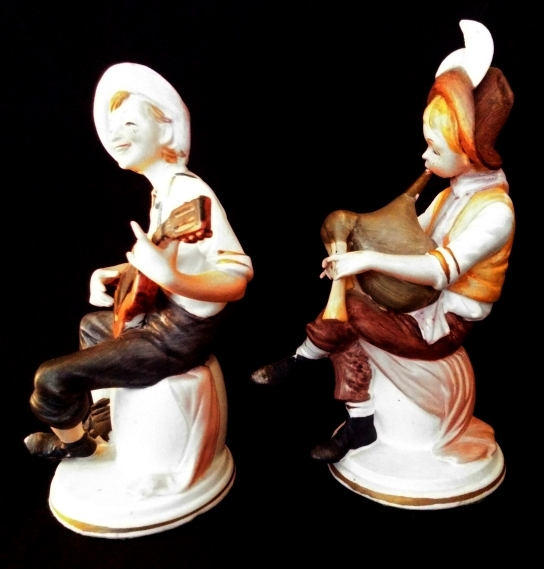 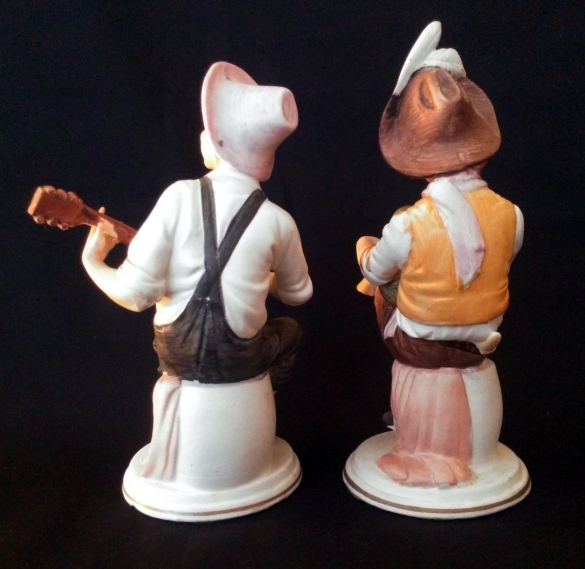 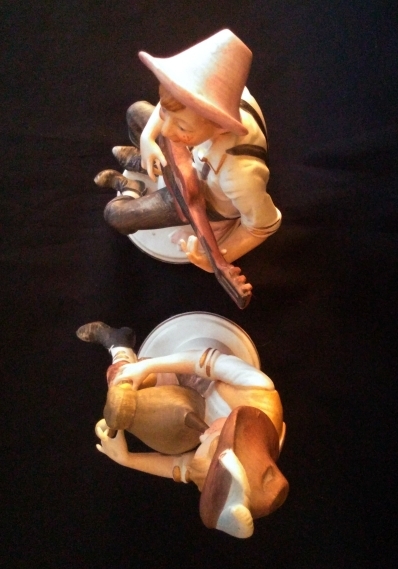 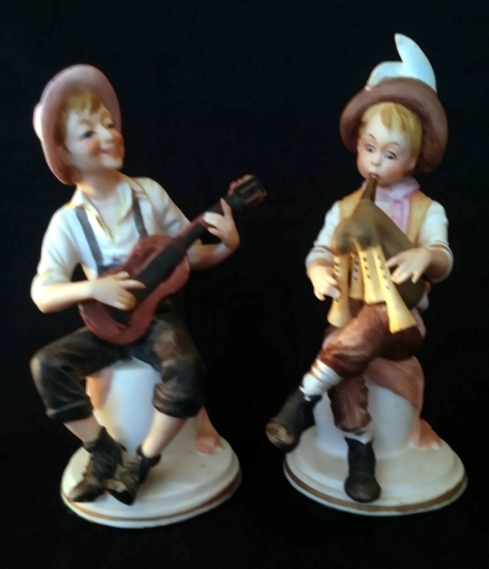 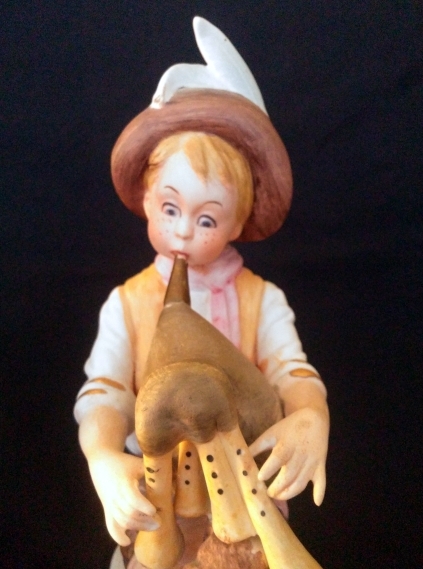 Delightful pair of figurines, one as a piper and one as a guitar player. 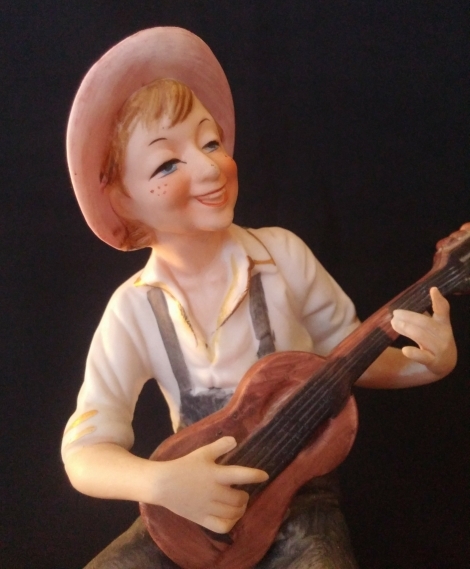 Condition: No cracks, chips or crazing. 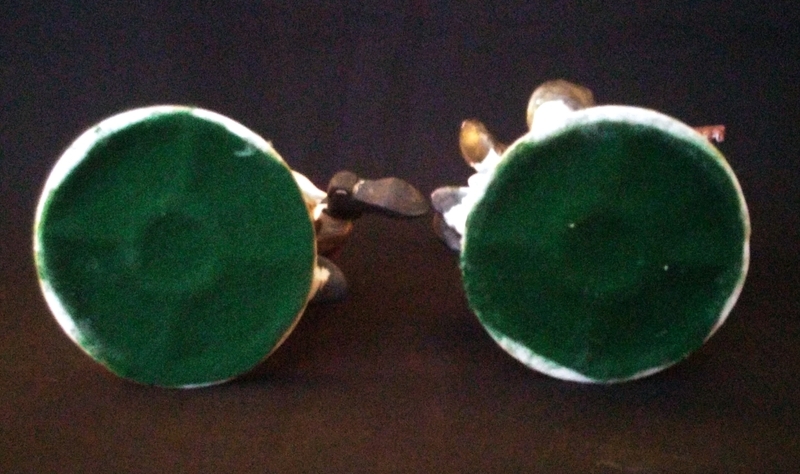 Could do with a clean and possibly re-felting under the base.